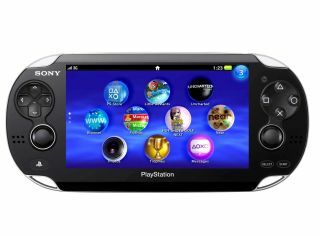 Sony is rumoured to be planning a major Next Generation Portable (NGP) showing at E3 2011 in Los Angeles this coming June, revealing the final name, pricing details and game launch line-up, according to latest games industry leaks. As well as the Sony NGP pricing and name reveal at E3, an apparent source at Sony France has also claimed that a new Polyphony title will arrive on the handheld before March 2012. The news, which really does have to be filed under 'E3 rumours' right now, comes from a Gamekult forum poster, who is apparently a reliable source of games industry news, according to VG247 and numerous other reliable industry news outlets. While it is no great shock to hear that Sony may well unveil the final consumer marketing plans for the successor to the PlayStation Portable at E3 this year, it is interesting to hear the latest speculation that there will be a total of seven first party Sony game titles announced for the new handheld in LA, along with a host of new games from third-party publishers such as Konami and others. The forum poster suggests we should see an NGP port of the critically-acclaimed PSP title Metal Gear Solid: Peace Walker, as well as further new Metal Gear announcements from Konami and new game announcements from Gran Turismo developer Polyphony at E3 this coming June. We've contacted Sony Computer Entertainment Europe for further comment for its plans for E3 2011. Stay tuned!